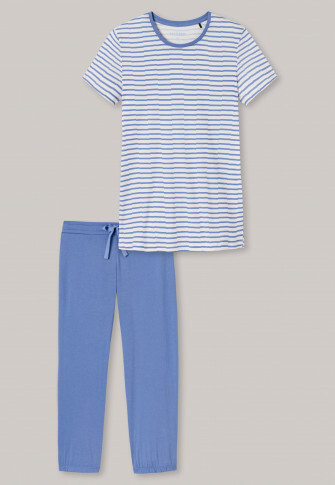 Sleepwear can be so casual! 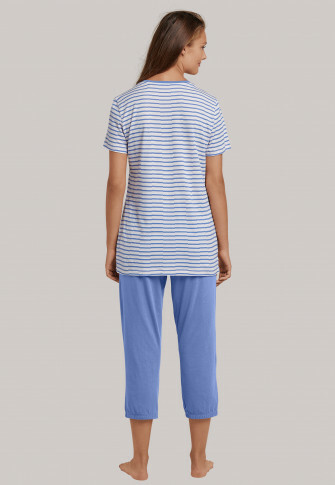 These pajamas combine a sporty style with soft flowing cotton and modal single jersey. 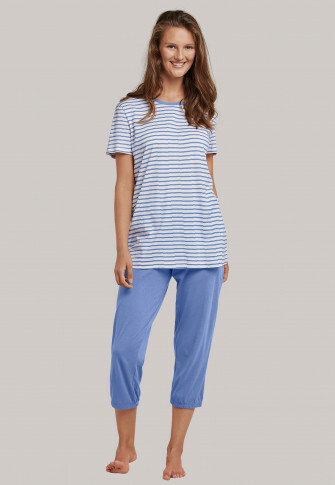 The sea blue and cream-colored t-shirt wins you over with casual stripes in an offset look, which are harmoniously complemented by the solid-colored, offset crew neck. 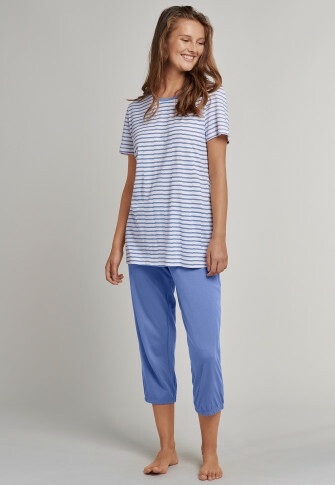 The sea blue, 3/4-length pants with satin drawstring along the smooth waistband and elastic along the leg openings complete this comfortable, feel-good look. The finest SCHIESSER quality for wonderful nights! from the SCHIESSER line "Riviera Refresh"